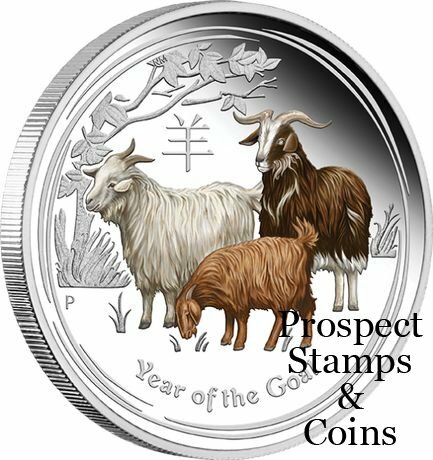 This year’s Perth ANDA Coin Show Special features the spectacular Year of the Goat design. A superb gift or collectable, each coin is meticulously struck by The Perth Mint from 2oz of 99.9% pure silver in proof quality, no more than 1,000 Perth ANDA Coin Show Specials will be released worldwide. The coin’s reverse depict three coloured goats standing within a stylised Chinese landscape. Accompanied by a numbered Certificate of Authenticity, the coin is housed in a display case and wonderfully illustrated box-shipper featuring the ANDA logo alongside the dates of the Perth show.